The widening gap between the world’s richest and poorest people is tearing societies apart. Too many still toil in extreme poverty. In contrast, wealth is increasingly concentrated in the hands of a few, who can use it to capture disproportionate power to shape the future. The widening gap between the richest and poorest is damaging economies and pushing more people into poverty. There are practical ways to close the gap. 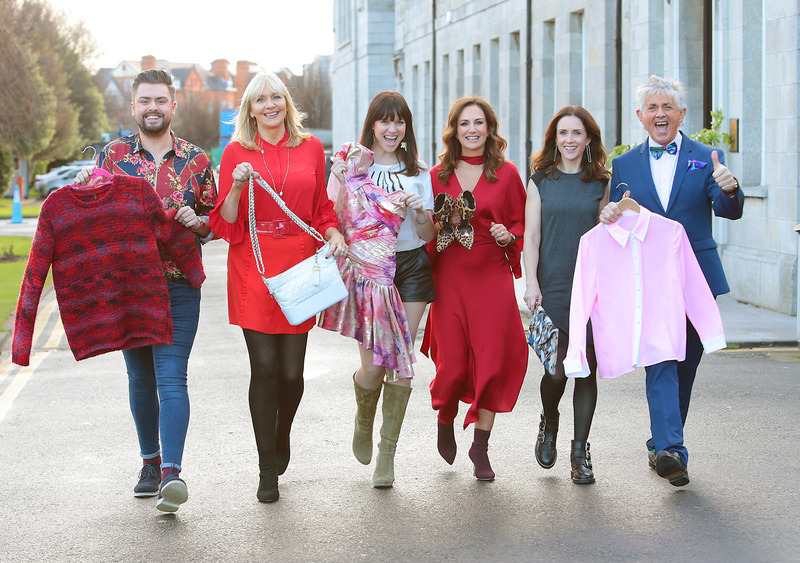 Lorraine Keane and a host of fashion and entertainment stars launch fundraiser extravaganza FASHION RELIEF – now nationwide! 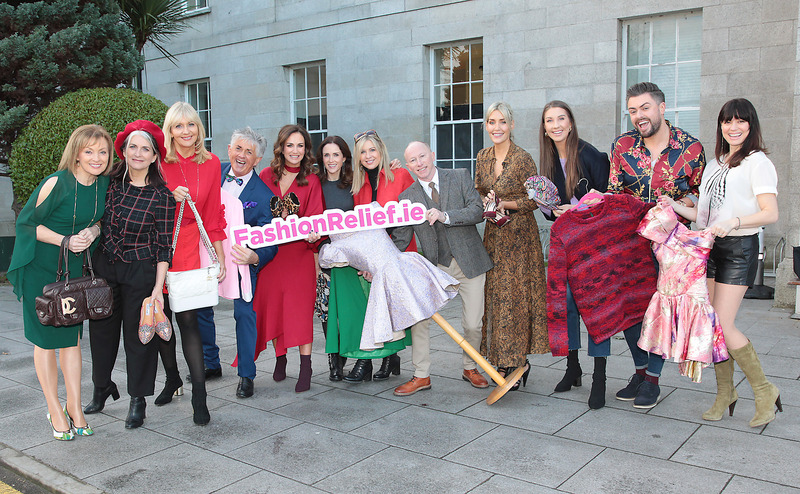 TV presenter Lorraine Keane brought together Ireland’s favourite fashionable stars today to launch FASHION RELIEF 2019 as the fundraiser extravaganza goes nationwide in aid of Oxfam Ireland. Keane teamed up with Miriam O’Callaghan, Maia Dunphy, Noel Cunningam, Mary Kennedy, James Patrice, Clémentine MacNeice, Joe Conlan, Triona McCarthy, Sarah McGovern, Laura Woods, Mo Kelly, Cathy O’Connor, Caroline Morahan, Teo Sutra and Joanne Northey to call on the public to join them at three FASHION RELIEF events across the country in 2019. Following the success of the first fundraiser in Dublin in May 2018, events will now be held in Cork’s City Hall on Sunday 17 February, Dublin’s RDS on Sunday 10 March and Galway’s Galmont Hotel on Sunday 31 March. Each event will offer people the unique opportunity to bag a bargain from the wardrobe of their style icon or beloved brand, boutique or designer, all while raising vital funds for Oxfam’s work in some of the world’s poorest countries. With donations from stars like Saoirse Ronan, Vogue Williams, Dáithí Ó Sé, Mary Kennedy, Miriam O’Callaghan, Rob Kearney, Anna Geary, James Patrice and more – as well as event host Lorraine Keane – FASHION RELIEF is not-to-be-missed. Attendees of each event will also enjoy two free fashion shows and get fashion advice and top tips from leading Irish stylists and social influencers on the day. Lorraine Keane is calling on the Irish public to join her in Cork, Dublin and Galway: “We were blown away by the success of our first ever FASHION RELIEF in May 2018, including the incredible generosity we experienced from the Irish public, our corporate and media partners and designers, boutiques and brands across the country. “This year, we’re determined to make it bigger and better – starting by taking the show on the road! We’re so excited to bring FASHION RELIEF back to Dublin’s RDS but also to fashion-savvy shoppers in Cork and Galway. “Over the last few weeks, stock has been pouring in from a host of amazing designers, retailers and of course, celebrities and influencers. Now I’m calling on people across Dublin, Cork, Galway and beyond to join us on the day and bag yourself a bargain. By buying your ticket in advance, you’ll skip the queues and ensure you don’t miss any of the action, including two fabulous free fashion shows. All profits will support Oxfam’s work in some of the world’s poorest countries, helping people to lift themselves out of poverty and thrive as well as saving lives when disaster strikes. Keane continued: “In November 2018, I had the privilege of travelling to Ethiopia to see Oxfam’s work there and how the money raised through FASHION RELIEF could help people facing hunger and poverty. It was the most difficult part of this journey so far but also the most rewarding. I met a little five-year-old girl called Samia who, in the midst of the devastation surrounding her – hunger, disease, violence – beamed the most beautiful smile and reminded me of my own daughters. I met people who are lifting themselves out of poverty through innovative farming techniques and saw families forced to flee because of hunger, drought and conflict receive life-saving aid like clean, safe water. Tickets for each event are just €10 and available at www.fashionrelief.ie. For more information on tickets, organising a donation drive or volunteering on the day, email IRL-fashionrelief@oxfam.org or call 01 672 7662. Read more about Lorraine Keane and a host of fashion and entertainment stars launch fundraiser extravaganza FASHION RELIEF – now nationwide! In 2018, 43 people owned the same wealth as half the world – this year, 26 do. A report released by Oxfam this week highlights that our current global economy is rewarding those at the top - while hundreds of millions of people living in poverty are getting poorer. Last year, the 3.8 billion people who make up the poorest half of the world saw their wealth decline by 11 percent while billionaires’ fortunes rose by almost the same amount. One of the main drivers of inequality is the failure of governments to clamp down on tax dodging by big businesses and wealthy individuals and ensure everyone is paying their fair share. Tax dodging by corporations and the rich is costing poor countries $170 billion a year. This means less funds for vital public services like healthcare and education, which are key to reducing inequality and helping people to build better lives for themselves. This human cost of inequality can no longer be ignored. Every day, 262 million children will not go to school and almost 10,000 people will die because they cannot access healthcare. Nellie Kumambala, a secondary school teacher from Lumbadzi, Malawi tells us her experience of fighting inequality. “My father inspired my sisters and me to become teachers. I’ve taught at the community secondary school for my area for 19 years. Our children come from very poor families. Many walk long distances to get here. Many come with empty stomachs. We have a problem of too few textbooks, dilapidated classrooms and teaching materials. "Over the years, I have seen so many girls and boys who score highly despite coming from poor backgrounds. I remember Chimwemwe Gabisa – she was brilliant at mathematics, the best I have taught. She finished secondary school but could not proceed to college for lack of funds." The private schools in the city, for children from rich families, have very good facilities. It does not seem right that it is so much harder for children in a government school to be educated. I pay tax every month on my little salary. I don’t understand why the people that have everything are failing to pay their taxes. Rising inequality is preventing us from beating poverty for good – but it doesn’t have to be this way. There is enough wealth in the world to provide everyone with a fair chance in life. 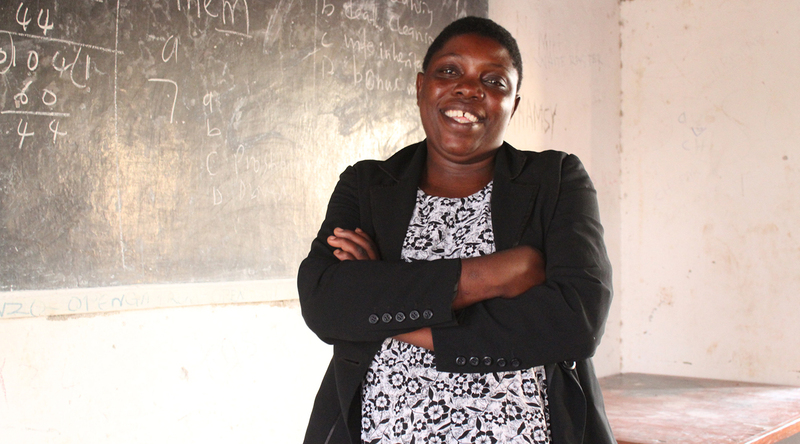 Dedicated teachers like Nellie are the lifeblood of great public services that benefit the poorest. Share her story to help fight inequality and beat poverty. 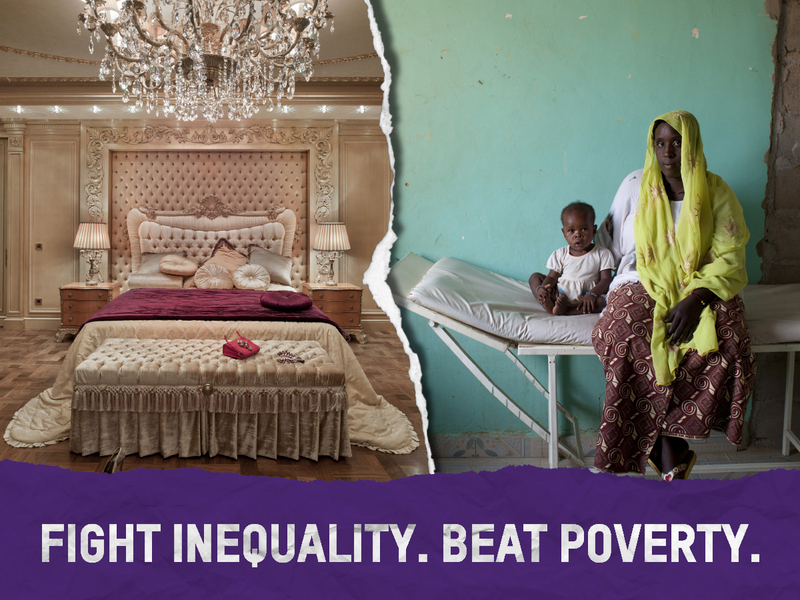 Find out more about fighting inequality and beating poverty. Read more about In 2018, 43 people owned the same wealth as half the world – this year, 26 do. Almost half the world’s population live on less than €5/£5 per day while the wealth of the world’s billionaires increased by €2.2billion/£1.9billion per day in 2018 alone, reveals a new report from Oxfam today. The report – Public Good or Private Wealth? – highlights how the global economy rewards those at the top while people living in poverty get poorer. Last year, the 3.8 billion people who make up the poorest half of the world saw their wealth decline by 11 percent while billionaires’ fortunes rose by almost the same amount (12 percent). As political and business leaders gather at the World Economic Forum in Davos this week, Oxfam is calling on governments to address this rising inequality by tackling tax avoidance by corporates and wealthy individuals and providing quality, free universal public services that are key to reducing it. Jim Clarken, Oxfam Ireland Chief Executive, said: “Halving extreme poverty is one of our greatest global achievements over the last 30 years but this is being jeopardised by rising inequality. Our report shows how decades of progress in reducing global poverty has disturbingly slowed – the rate of reduction has halved since 2013 – with extreme poverty actually increasing in sub-Saharan Africa. “This is a direct result of inequality – the human cost of which can no longer be ignored – and is largely seen in a lack of access to quality public services. Tomorrow, as the elite convene in Davos, 262 million children will not go to school and almost 10,000 people will die because they cannot access healthcare. • To achieve this, everyone, including big businesses and wealthy individuals, need to pay their fair share of tax. This means ending tax avoidance and evasion by corporates and the wealthy. 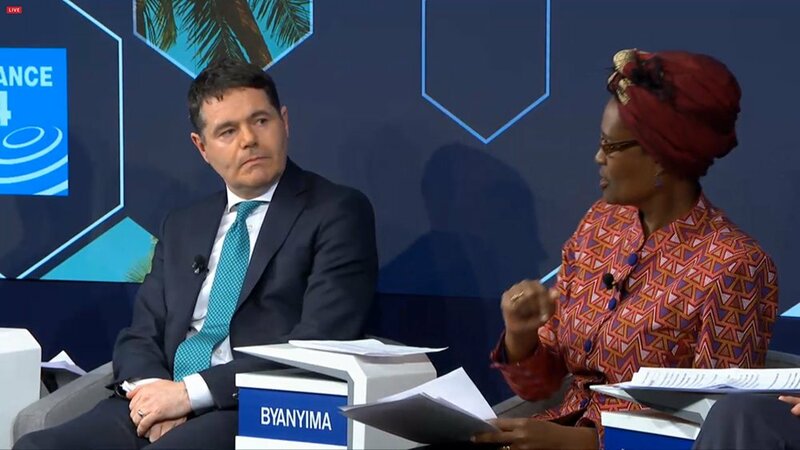 Ireland and the UK have an important role to play in this regard and needs to agree a new set of global rules and institutions to fundamentally redesign the tax system to make it fair, with developing countries having an equal seat at the table. These new rules would include increased transparency of multinational corporations (MNCs) tax affairs and implementing effective mechanisms to end profit shifting by MNCs at home and abroad. • The report, methodology document explaining how Oxfam calculated the figures, and the data set is available on request. • Oxfam’s calculations are based on global wealth distribution data provided by the Credit Suisse Global Wealth Data book published in November 2018, which relate to the period June 2017-June 2018. The wealth of billionaires was calculated using the annual Forbes Billionaires list last published in March 2018. See the methodology for more details. • Every year, Oxfam’s calculations about how many people own the same wealth as half the world are based on data available at the time. Credit Suisse has improved and expanded its data set, which means we can recalculate our figures for previous years. 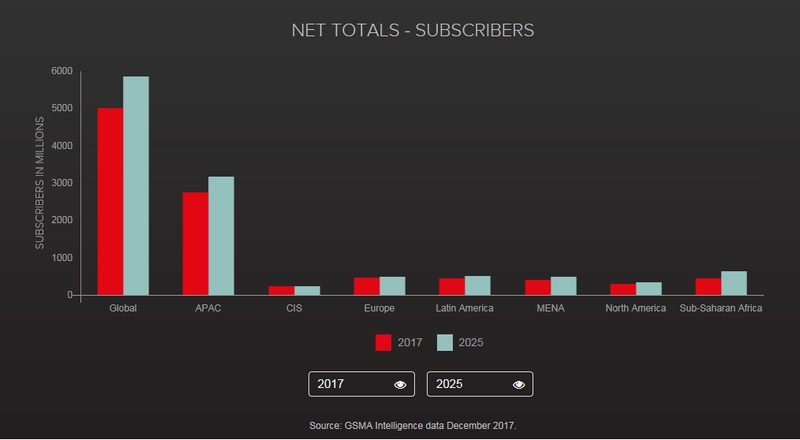 We can now calculate that last year 43 people owned the same as half the world. This year it’s 26. The year before last it was 61. • The World Bank report Poverty and Shared Prosperity 2018 found that global poverty declined on average 1 percentage point per year between 1990 and 2015, but only 0.6 percentage points per year between 2013 to 2015, and may be further slowing. • The UN estimates that tax avoidance by businesses costs developing countries $100bn a year. Economist Gabriel Zucman estimates that the world’s poorest regions – Africa, Asia and Latin America – lose $70bn in annual revenue due to wealthy individuals’ use of tax havens. Universal health, education and other public services reduce the gap between rich and poor, and between women and men. Fairer taxation of the wealthiest can help pay for them. The number of billionaires has doubled since the financial crisis and their fortunes grow by $2.5bn a day, yet the super-rich and corporations are paying lower rates of tax than they have in decades. The human costs – children without teachers, clinics without medicines – are huge. Piecemeal private services punish poor people and privilege elites. Women suffer the most, and are left to fill the gaps in public services with many hours of unpaid care. We need to transform our economies to deliver universal health, education and other public services. To make this possible, the richest people and corporations should pay their fair share of tax. This will drive a dramatic reduction in the gap between rich and poor and between women and men. Read more about Public good or private wealth? Will 2019 be the year when we see real corporate tax reform? This month the European Union (EU) put the thorny issue of how to fairly tax the digital economy on the long finger. Attempts to reform digital taxation, like efforts to increase public tax transparency and address profit shifting, have stalled at the EU due to opposition from a small number of countries – including Ireland. The proposed digital services tax was an imperfect solution. Experts and civil society agree that the real solution lies in fundamentally changing our tax system to meet the challenges of a digitalised economy. This is about more than just a handful of big tech firms dominating the market. Technology is fundamentally changing the way that every industry operates and our tax system must adapt to reflect this. This is worth considering in the context of developing countries in Africa, where Ireland spends most of its overseas development aid. Africa has often been hailed as a technological leapfrogger, particularly in the realm of mobile banking, where Kenya’s M-PESA is leading the way. Sub-Saharan Africa is now a bigger market for mobile phones than North America and it will shortly surpass Europe. Tech companies based in Ireland like Apple are cashing in on this growing market – in 2015, sales of the iPhone grew by 133 percent in the Middle East and Africa. But African tax revenues are not benefitting from this boom because profits from these sales are routed back to Apple in Cork. The EU has had more success in tackling tax havens. Last year, in an assertive move against the ever-increasing power of multinationals and private billionaires, it published its first ever blacklist of tax havens. As a result of this pressure, many notorious tax havens committed to reform their tax laws before the end of 2018, and companies started moving away from tropical zero-tax islands. However, if the blacklist is to remain an important tool in the fight against tax avoidance, the EU must follow up on its initial action. A preliminary analysis by Oxfam shows that, with just one month left to the deadline, at least 20 countries – including heavyweights like Switzerland – have failed to deliver sufficient reforms and could soon be blacklisted. It is crucial that EU governments help end the era of tax havens to ensure that the billions of dollars currently hidden from public coffers are spent on services which matter to citizens – health, education, infrastructure and development. The economist Gabriel Zucman estimates that multinational companies shift as much as 40 percent of their global profits to tax havens every year. Not only does this affect governments and citizens across the EU, it also hits developing countries who lose $100 billion annually as a result of tax avoidance- fueling inequality and poverty. So how successful has the EU’s blacklist actually been? Has it helped or hindered the fight against inequality? The blacklist started last December with 17 tax havens. Since then, the number has dwindled to a mere five countries, all of which are small island states. However, at the same time, a ‘grey list’ of countries that committed to reform their tax systems by the end of 2018 has grown. It features many of the most disreputable tax havens, such as Bermuda and the Cayman Islands, and has already had some positive results exemplified by the removal of Liechtenstein from the list after it ended its damaging tax practices. The blacklisting process has produced changes in the way multinationals are operating. Big companies are beginning to move from tropical islands where they pay no tax, to countries where they pay extremely low tax. As reported in Bloomberg, US multinationals are moving their intellectual property (IP) holdings (patents, trademarks, copyrights etc.) from territories like Bermuda and the Cayman Islands to countries like Ireland and Singapore. This trend is known as “onshoring”, or “the tax haven shuffle”, and it happens when zero-tax islands change their tax regimes in response to external trends – in this case following pressure on tax havens from the EU. Ireland has incentivised companies to relocate their IP here with reliefs that allow them – in many cases – to reduce their tax liability down to zero percent, replicating what used to happen in Caribbean tax havens. From 1 January 2015 – just after the announcement of the phasing out of the Double Irish arrangement – companies were allowed to offset up to 100 percent of their profits (it was previously capped at 80 percent) against the cost of purchasing IP rights for the relevant period – potentially eliminating any tax bill whatsoever. There has been a sharp uptake in companies availing of this measure, as recognised by the former finance minister Michael Noonan. 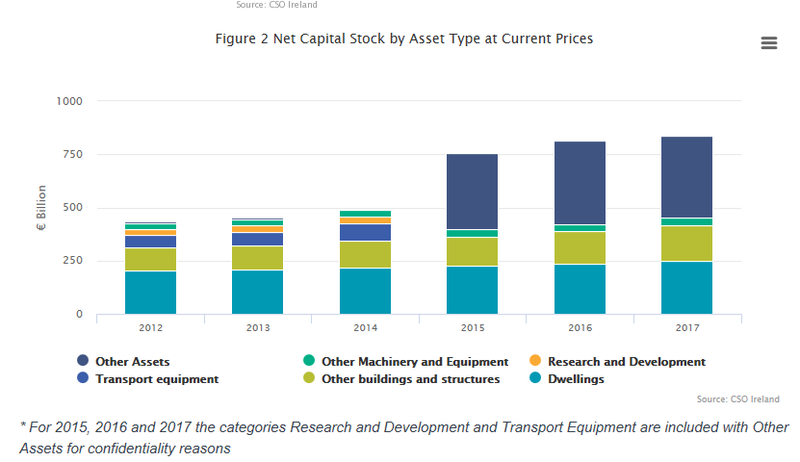 Deputy Noonan highlighted “a relocation of intellectual property-related assets or patents to Ireland” as a key reason for Ireland’s massive GDP increase of 26% in 2015. Figures released by Irish revenue authorities show that the use of such allowances for intangible assets went up by a massive 989 percent in 2015. The full extent of these transfers were discussed recently in the Irish parliament where it was disclosed that between 2014 and 2017, intellectual property to the value of approximately €300 billion was onshored to Ireland. The law was changed in 2017 so that companies that transfer IP to Ireland after this date will only be able to claim 80 percent relief against profits in any one year. In his blog, Chair of the Irish Fiscal Advisory Council, Seamus Coffey, estimates that significantly more intellectual property could be transferred to Ireland. Based on the current figure of €70 billion of royalties leaving Ireland annually, he estimates that up to €1 trillion in IP assets could be transferred to Ireland in the next few years. For companies that moved IP here between 2015 and 2017, Ireland may be, in effect, a “no-tax jurisdiction”, with potentially hundreds of billions of euros of reliefs still to be used against future profits. Meanwhile, companies that move IP to Ireland in the future will be able to avail of reliefs that could potentially allow them to have an effective tax rate of as low as 2.5 percent. Could we see real reform in 2019? It is true that coordinated efforts at EU, OECD, G20 and UN level are making it more difficult for individual countries to continue to facilitate corporate tax avoidance. In response, countries are more likely to compete for foreign investment by offering ever more generous tax incentives – Ireland’s intellectual property relief being one example – and reductions in their corporate tax rates. This competition is creating a race to the bottom, whereby a small number of countries may temporarily gain in the short term. In the long term, however, every country risks losing out as extreme competitive pressures negatively impact their sovereign right to raise fair levels of tax. So even if we are successful at reducing – or eliminating – corporate tax avoidance, there is a danger that this race to the bottom will lead to a situation where corporations start reporting the correct amount of profits in each country, but still pay very little taxes on these profits. This has serious implications for poorer countries’ ability to mobilise sufficient domestic revenue to fund universal public services to tackle inequality and beat poverty, and to fund the social and physical infrastructure that fosters prosperity. As women and girls living in poverty are disproportionally impacted by the under-resourcing of public services, this has also implications for efforts to address gender inequality because developing countries need to be able to raise the vital resources necessary for the advancement of women’s civil, social and economic rights. Efforts to reform the global tax system move to the OECD in 2019, a move which Ireland supports. However, this may be a case of “be careful what you wish for” as it seems that a more fundamental reform of the corporate tax system – including the possible introduction of a minimum effective tax rate – may be on the negotiating table at the OECD next year. In a recent interview, Pascal Saint-Amans, director of the OECD’s Centre for Tax Policy and Administration, indicated that he felt that momentum is building for something big to happen, a kind of BEPS 2.0, which would look at more systematic issues such as the allocation of taxing rights, rather than trying to patch up the existing flawed system, as has happened under the original Base Erosion and Profit Shifting Process (BEPS) process. The Japanese G20 presidency has also signalled its strong interest in continuing the debate on taxing the digital economy and will hold a tax symposium on the subject in early June 2019 to coincide with the G20 finance ministers’ meeting in Fukuoka. Unlike the original BEPS negotiating agreement, the global south will have some input, albeit limited, into these negotiations through the OECD’s Inclusive Framework. As rising powers like Brazil, India and China have all signalled that more complete reform is necessary, and with the US more open to a global minimum effective tax rate following its recent tax reforms, Ireland’s ability to block reform may be greatly reduced this time around. Read more about Will 2019 be the year when we see real corporate tax reform?